This post lists the articles that I posted to my WindowsITPro.com blog during December 2011. Enjoy! Reporting Exchange Server 2010 Client Access Licenses (December 29) discusses the two types of Client Access Licenses (CALs) supported by Exchange 2010 and offers some advice as to how you can figure out the number of CALs and types of CALs that are needed by an Exchange organization. Learning how to master PowerShell with Exchange as your tutor (December 23) is based on a survey that found that many Exchange administrators still don’t have a good knowledge of PowerShell. Given that PowerShell provides the base for Exchange 2007 and Exchange 2010 management and is the foundation for management in Windows 8 Server, this seems like a bad state of affairs. Fortunately Exchange 2010 provides three methods to inform administrators about the correct use of PowerShell, all described in the article. Finding confidential user information with Exchange Search (December 19) arose from a discussion at an Exchange Maestro training event when one of the participants asked if it was possible to search mailboxes for items that contained information such as account and password data. This is a great example of why you need to restrict the ability to perform multi-mailbox discovery searches and, even more important, access to the items retrieved by searches. Office 365 Advisor: what plan’s for me? (December 15) reviews a new web-based tool released by Microsoft to help companies decide what Office 365 plan is most suitable for their needs. Like any first release there are some small issues but it’s a reasonable start. Exchange 2010 SP2: don’t forget the rest of the ecosystem (December 13) offers some advice about how to approach the upgrade of a complete Exchange 2010 ecosystem after the release of Service Pack 2. Very few Exchange servers run in perfect isolation and there are many third-party and Microsoft products that connect to Exchange in some way that might need to be upgraded. Litigation hold updates in Exchange 2010 SP2 (December 9) describes some small but important changes that Microsoft made in Exchange 2010 SP2 to enhance the effectiveness of the litigation hold feature first introduced in Exchange 2010. Essentially you’re no longer able by default to remove or disable a mailbox that is under litigation hold. DAGs and clusters (December 7) provides a useful reminder that Exchange’s Database Availability Group (DAG) feature is based on Windows Failover Clustering (WFC), which means that you need to keep an eye on updates and fixes that Microsoft release for WFC. Exchange 2010 SP2 makes its debut (December 5) marks the formal release of Service Pack 2 for Exchange 2010 and provides some commentary on what I think are the most important points in the update. Unlike SP1, which really delivered some fundamental changes such as a complete revision of Outlook Web App, SP2 is much more of a tidy-up release. However, there are important new components such as the hybrid configuration wizard (HCW) and the introduction of Address Book Policies. The futility of attempting to recall a message (December 1) was prompted by a tweet from a Windows IT Pro editor that mentioned the usefulness of Outlook’s recall message feature. Or rather, the futility (in my mind) of the said feature. See why I have this view by reading the article. All in all, a productive month, even if we all seemed to shut down for a large number of days to celebrate the holidays. Have a happy and productive 2012! This entry was posted in Exchange, Exchange 2010 and tagged Exchange 2010 SP2, Office 365. Bookmark the permalink. Lots of great article and realy helpful in my job. 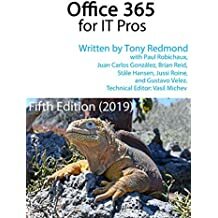 Since SP2 is out now, do you have in mind to release a second edition of your book Microsoft® Exchange Server 2010 Inside Out ? I don’t have plans to release an updated version of Exchange 2010 Inside Out. There isn’t really enough new information from SP2 to warrant the work and expense required to generate an update. I am glad that I waited for SP1 to appear though! Thanks for the quick response, so I will have a look to buy this one then.